When you speak of California wines, most people think of the Napa-Sonoma Wine Country. What they often don’t realize, however, is that long before Napa-Sonoma took the California wine culture center stage, Gold Country’s rolling foothills were home to some of the state’s most scenic and fruitful wineries. In fact, Gold Country wineries have been around since the California Gold Rush era, and in the present day they are an important aspect of the California Gold Country tourism offerings. Investigating these historical roots a bit further, you’ll learn the current Sobon Estate Winery in Plymouth was previously the D’Agostini Winery. Established in 1856 by Adam Uhlinger, a Swiss immigrant who brought grapevines from Europe to his new home, this is the site of California’s third oldest winery. By the 1890s, more than 100 wineries operated in the region. Prohibition changed all that, though, and all but a few Gold Country wineries were forced to close. After hibernating here for nearly 50 years, the foothills’ extraordinary climate and soil inspired some creative vintners, and the region is presently enjoying a winemaking renaissance. Its robust zinfandels and other red varietals are legendary for their quality and have begun attracting international attention and acclaim. Today, Gold Country is home to more than 40 thriving wineries, many of them family-owned and producing celebrated vintages. Generally smaller than their Napa-Sonoma counterparts, Gold Country wineries attract fewer visitors and consequently provide more access to information about the winemaking process, insights that are sometimes shared by the vintners themselves. The atmosphere is low-key and laid-back, and tasting fees are typically non-existent. Most Gold Country wineries are located in Amador County, which lies south of Lake Tahoe and north of Yosemite, about a three-hour drive from San Francisco. The area’s largest winery is Sutter Home’s Montevina in the Shenandoah Valley, known primarily for its Zinfandel and Barbera varietals. Another celebrated Amador winery is Renwood Wines, and Story Winery’s beautiful view of the Cosumnes River Canyon provides a perfect picnic-lunch destination (with facilities are available for their customers’ enjoyment). There is so much to do and enjoy in this area that it’s not hard to see why California Gold Country tourism is thriving! 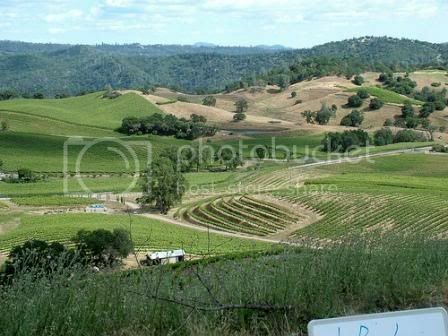 The Sierra Nevada foothills feature several regions in addition to the Shenandoah Valley: the Nevada County wineries; the Apple Hill and Gold Hill areas of central El Dorado County; and the Fairplay/ Somerset area in south El Dorado County. Fair Play, which is both a village and a six-mile-by-six-mile American Viticutural Area (AVA), is home to wineries that have produced stunning Zinfandels, Syrahs and Petite Sirahs for a good number of years. There are more than 20 wineries within a 15-minute drive of the village, and the nearby alpaca and Arabian horse ranches add a unique twist to your travels here. 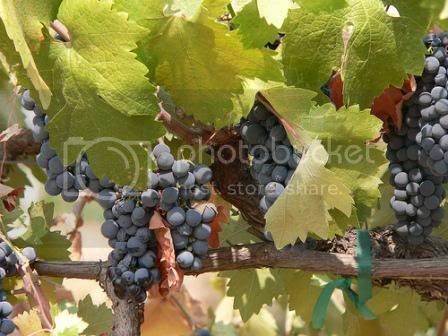 Photo of Calaveras County Vineyards by miss_rogue via flickr (Creative Commons); Photo of Amador County Wine Grapes by Lee Coursey via flickr (Creative Commons).